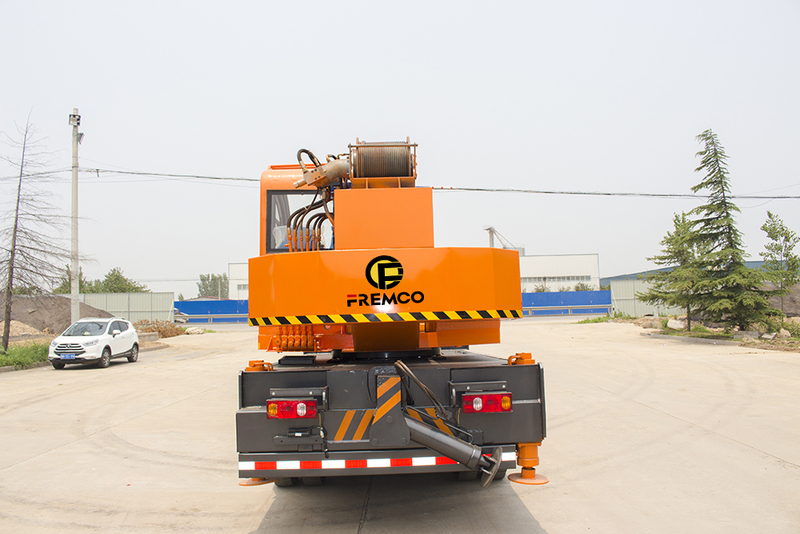 FREMCO is a crane factory, mainly produce truck-mounted crane, all-terrain crane, crawler crane, marine crane. 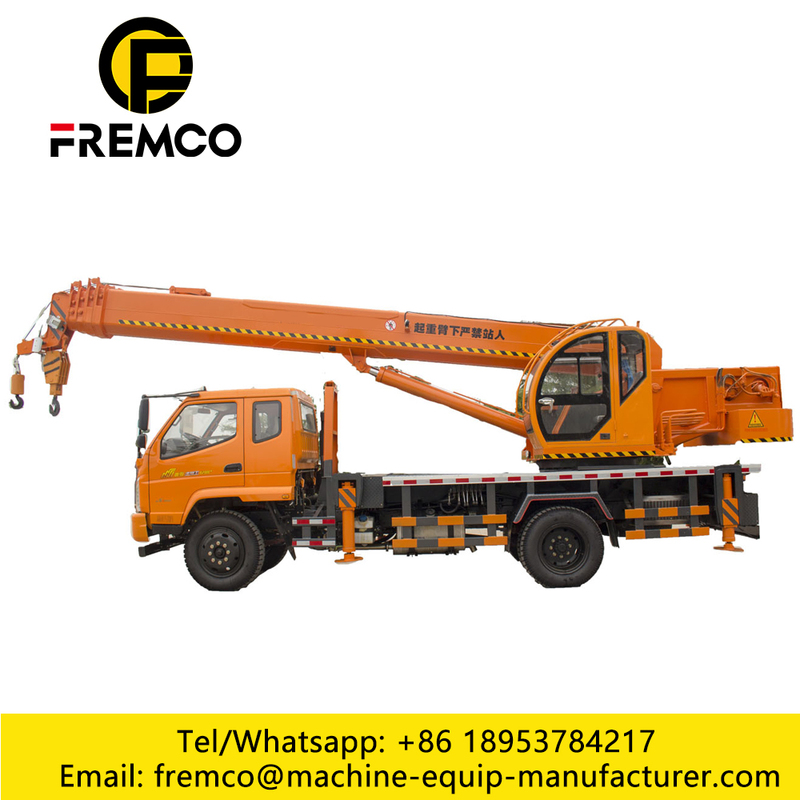 According the capacity, truck crane divided into 16 tons crane, 12 tons crane, 10 tons crane, 8 tons crane and 6 tons crane. OEM is accepted, welcome to visit our company! 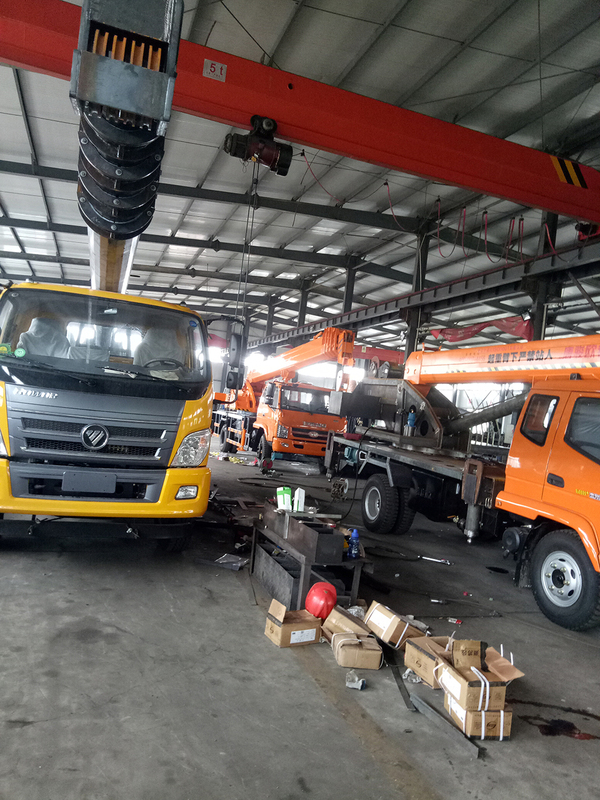 This Truck Crane is with hydruclic system,can make with electric hydraulic.the lifting load :3 ton, 5 ton, 6 ton,8 ton,10 ton,12 ton ,14 ton ,16 ton. 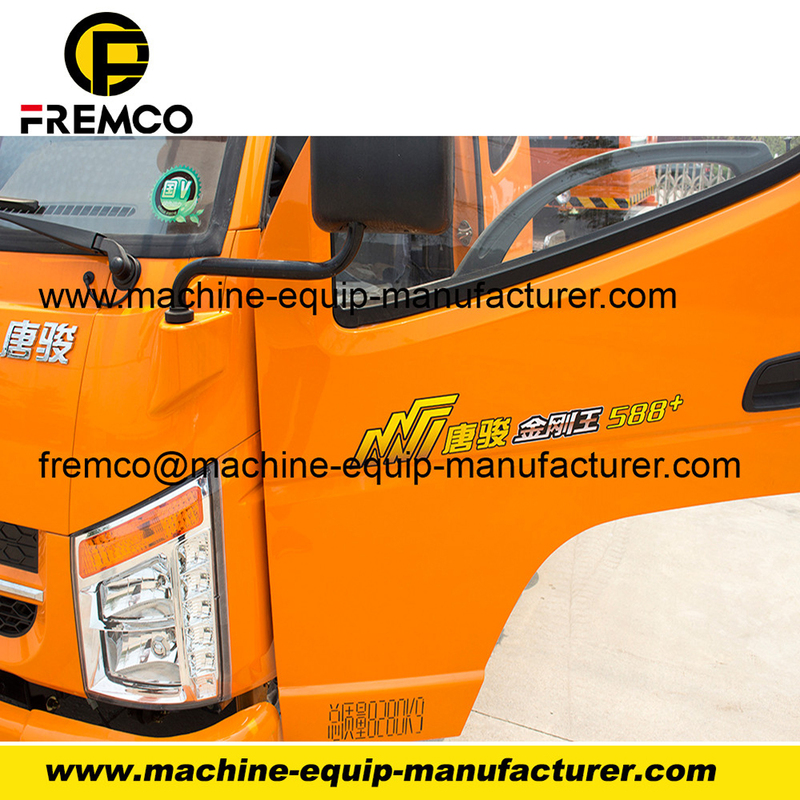 The Chassis match T-King brand,or FOTON, DONGFENG, we also make OEM . the certificate can operate independently. safety operation procedures, and strictly carry out according to regulations. It is forbidden to drink or body has not indications for operation. 4. When hook lifting, the components must be the in the direction of the rear of the lifting. suspended substance to slow even when landing. tension condition, then lower hoist boom, loose rope, and pick the hook. 6. Hoist boom lift must fall back when: do not lower down the arm when lifting heavy objects. The throttle is smaller when lowing the arm and bigger when lifting. Rotary motion is to be steady, not sudden reversal, when close to the rated weight load, shall not air rotary when the ground clearance is 0.5 m above. 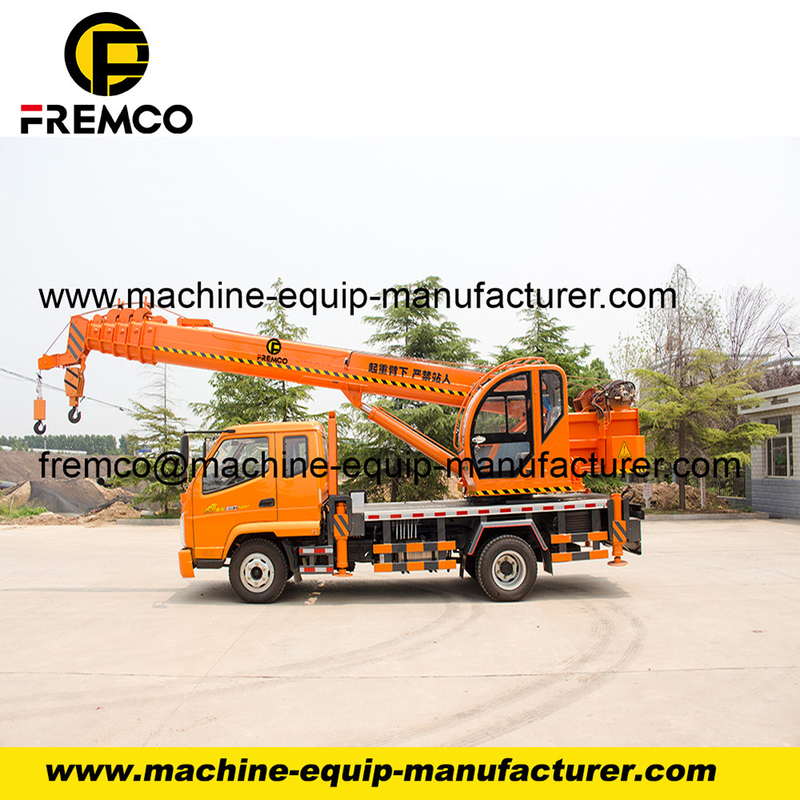 7.It is strictly prohibited to lifting when driving, the lift arm must be put on the bracket when driving, the hook is in the bumper, and the wire rope to pull tight. 8. After the completion of the work, lifting legs and sawing arm shall not simultaneously. Looking for ideal Electric Truck Trane Manufacturer & supplier ? We have a wide selection at great prices to help you get creative. 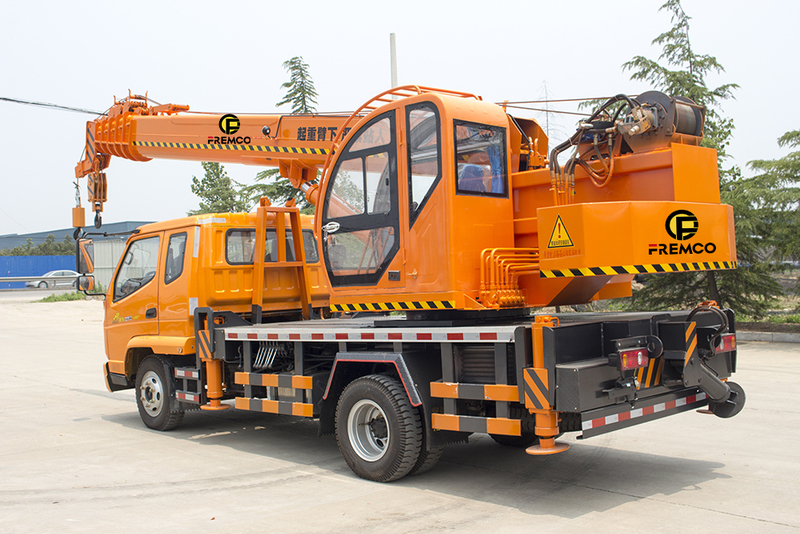 All the Truck Hydraulic Ccrane are quality guaranteed. 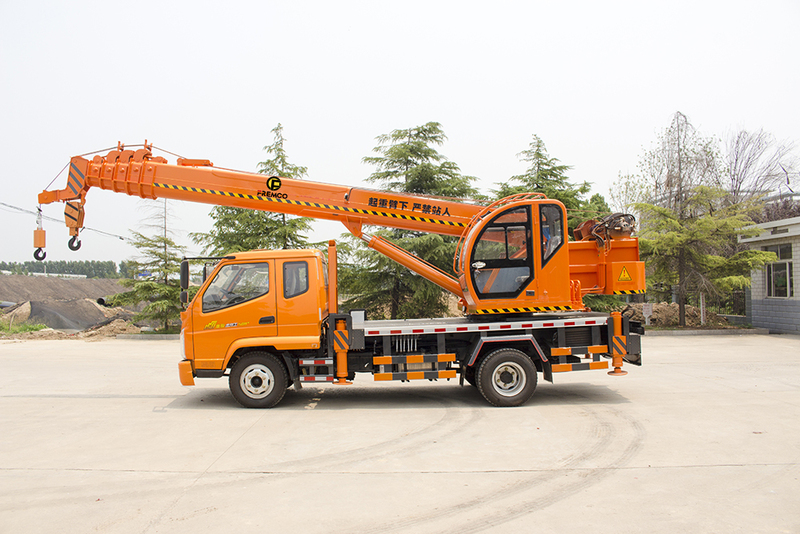 We are China Origin Factory of T-King Truck Crane. If you have any question, please feel free to contact us.